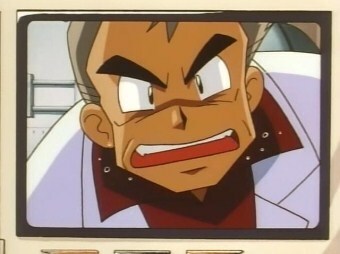 Oak: I broke the Fourth Wall... Now how do I break the Fifth Wall?! by E.K.A.N.S. Oak: What do you think, Finn? Can we pull back the veil of static and reach into the source of all being, behind this curtain of patterns, this random patterned generator? So clever... Right here in every home, watching us from a one-sided mirror. by E.K.A.N.S. Oak: So you're telling me that behind this wall there are a bunch of Internet users who compete to submit the best catchphrase for every random moment of our lives?! by E.K.A.N.S. Oak: It is I, Looker, of the International Police! This is my Halloween costume, by the way. by E.K.A.N.S. Oak: Do you hear me over there? Stop spamming Fourth-Wall captions. by E.K.A.N.S. Oak: How dare you put me on Mute! by E.K.A.N.S. Oak: Phew, I'm glad that the caption froze just in time, or else I would've flown headfirst into the screen and broken someone's Fourth Wall. Then I'd have to pay repairs. by E.K.A.N.S. Oak: What is this... this strange, cubic device? Is it... a new species of Pokemon?! I must, yes I must study this further...! For I shall discover what this means! by E.K.A.N.S. Oak: What is this... this strange, cubic device? Is it... a new species of Pokemon?! I must, yes I must study this further...! by E.K.A.N.S. Pokedex: Oak, the Old Man Pokemon. Oak has a habit of making "I'M STILL TEN?" faces into the camera. Oak is a Pokemon that is naturally unable to remember its grandson's name. by E.K.A.N.S. Oak: I forgot to do my homework! by E.K.A.N.S. Oak: Delia, I just realized something. I can't remember my grandson's name! I HAVE AMNESIA!!! Delia: It took you 15 years... by E.K.A.N.S. Oak: I don't have a Halloween costume, so I'll be making scary faces all night. by E.K.A.N.S. Ash: I need an adult. Oak: I AM an adult. by E.K.A.N.S. Oak: No Halloween costume? Honey I AM a Halloween costume. by E.K.A.N.S. Oak: Trick or Treat (give me candy or die)! by E.K.A.N.S. Ash: So what are you for Halloween? Oak: I'm Professor Oak. Ash: That's the scariest Halloween costume I've ever seen! Where did you get it? by E.K.A.N.S.